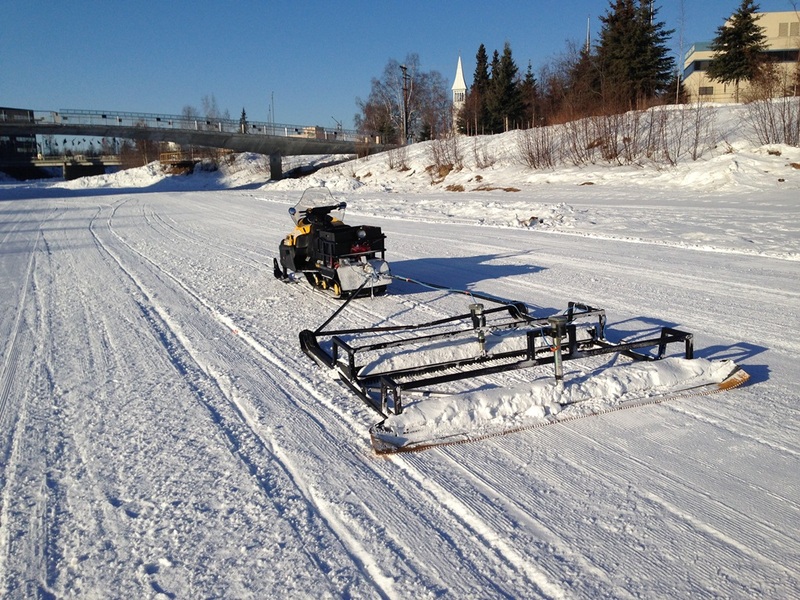 Unfortunately, there is a narrow spot on the river near Fort Wainwright in the center of the river channel, which the groomers will monitor on a day-to-day basis. Thus, the Sonot Kkaazoot organizers still hope to safely conduct the race on Saturday using the Chena River. However, we cannot control the weather. So, as indicated on the entry form, if the race is unsafe on Saturday morning, we will move to Birch Hill and delay the start until 10:30 a.m.
Groomers will go out again Wednesday morning and if the river still appears solid, we will have a snow shoveling work party Wednesday evening to put snow under the highway bridges where there is currently ice and gravel. Sorry that we can’t control the weather and river break-up. However, skiers are a resilient bunch. The 2014 Sonot Kkaazoot will take place this Saturday, however, the course will need to remain in the “to be determined” status until Saturday morning around 6:30 a.m. when groomers set the classical tracks on the river. 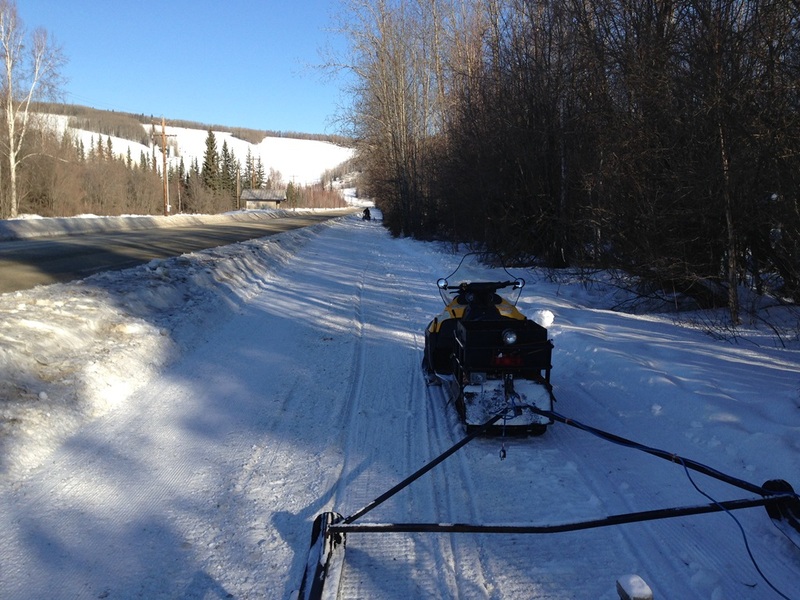 This entry was posted in 2014 Sonot Kkaazoot information, Sonot Kkaazoot race organizers and tagged Chena River break-up by Sonot Kkaazoot. Bookmark the permalink.